Yay! I finally get to share about this. 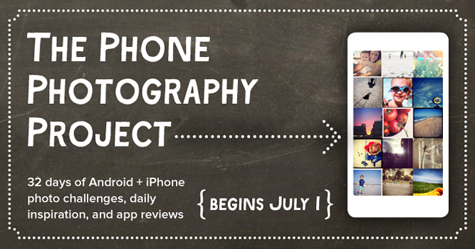 My fearless friend Elizabeth Dillow has organized a group of phoneographers to bring you photo challenges, daily inspiration, app reviews, tips and tricks! I'm so excited to be a part of this! Check out this cute video about the class. In this month-long workshop, you'll learn to take better photos with the camera you always have with you as you document your summer adventures—with help from 32 incredible instructors. This class, brought to you by Big Picture Classes, is being offered at the introductory price of $39. It'll eventually go back to its regular price of $49. Please come join me! I have a super fun challenge set up, and a little collab project with my dear friend Melanie Louette. Click here to sign up. ps: I'm being paid for this class via the affiliate links above. Full disclosure is always a good thing, right? what a cool class & line up! this is super!